We are honored that you have registered as a Veteran Friendly Congregation (VFC). If you need some support in starting your Military Ministry or want learn more or need someone to meet with you Clergy leadership please contact Freddie Owens or Dennis Lovin at 865-253-2794. Help the congregation members maintain an awareness of the existence and needs of those sacrificing their time and effort to support our country. Create an environment of acceptance within the congregation for any extended family member who worships or visit the congregation; acceptance of their needs (physical, material, and spiritual), and a willingness to join their struggles, whatever they might be. The title of the Forum was named after a Christ Center Solution book, When War Comes Home” written by Chris and Rahnella Adsit. Our religious recovery LPG uses this book as their recovery manual each Monday from 10am till Noon at the Elmcroft of West Knoxville facility. We received this letter from the authors on April 19, 2014 recognizing and supporting our mission. We are truly humbled by the kind words and thank them for Healing manuals: The Combat Trauma Healing Manual and When War Comes Home. On May 14, 2014 we a received a comment on our website from our first Veteran Friendly Congregation, the Maryville Vineyard in Blount County. 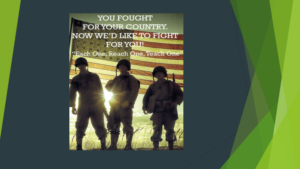 Pastor Aaron McCarter has posted “Connecting Veterans” on their website. Pastor Aaron was recognized at our May 1st Forum for being the first congregation to register as a VFC. We are blessed to have the Maryville Vineyard as a proud member of our initiative. We appreciate your interest and the investment of your time spent learning how your congregation can better serve veterans and their families. 2. 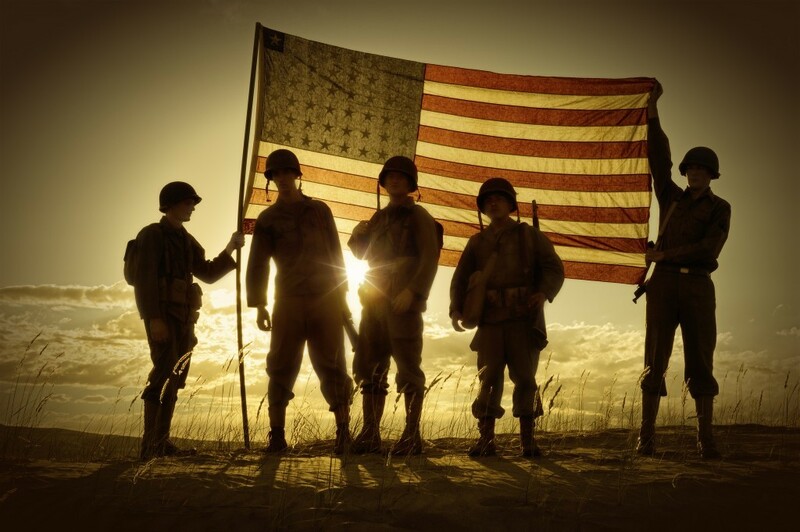 Discover who in your congregation has served in the military. 3. Designate a member of that group to be a point of contact with us. 4. Discuss with your congregation the needs of your particular veterans. 5. Design your ministry to meet the specific needs of your veterans and their families. 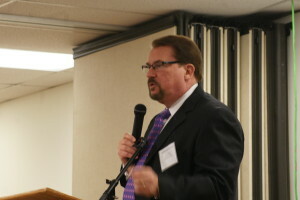 Your congregation will be officially recognized by Peter McCall of Care For The Troops, www.careforthetroops.org and the Veterans Friendly Congregation Initiative, www.tnvhc.org. Your involvement will be published on both of these websites. You will receive a certificate indicating the day your congregation entered into this ministry and began partnering with these two organizations. Your commitment toward becoming a Veteran Friendly Congregation begins with raising awareness among the current members now that you have this program in place. We urge you to publish this ministry in your bulletins, newsletters and websites at least on a monthly basis. Your veterans need to know to whom they can turn for assistance. We stand ready to help. We are volunteers who want to encourage you to help us bring an end to the suffering of our fellow veterans. Thank you again for what you will do to serve those who have served! For additional information for your church or organization feel free to contact ( see information below) for an orientation. Freddie and his Pastor Dr. Ed King joined Mayor Tim Burchett this morning in a news conference about our Veteran Friendly Initiative. Hats off to Freddie for representing us well this morning and we thank many of the supporters who attended. Our Veteran Friendly Congregation Initiative phone 865-253-2794 has been ringing off the hook since. Please call us if you are interested in joining us or want more information and would like to have a committee visit your organization. Thanks for all of your hard work, dedication and continued service.